FLORA FORCE® FENNEL capsules are traditionally used to relieve digestive disturbances and nausea. Vege caps. Free from additives, sugar and lactose. Read all of this leaflet carefully because it contains important information for you. FLORA FORCE® FENNEL capsules are available without a doctor’s prescription, for you to treat a mild illness. Nevertheless, you still need to use FLORA FORCE® FENNEL capsules carefully to get the best results from it. Do not share FLORA FORCE® FENNEL capsules with any other person. Inactive ingredients are vegetable capsules. FLORA FORCE® FENNEL capsules are free from sugar and lactose. 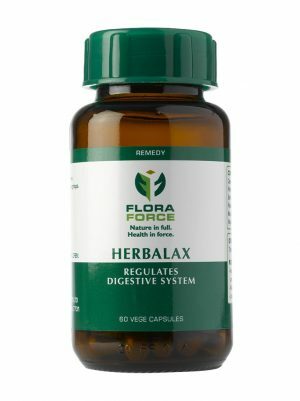 FLORA FORCE® FENNEL capsules assists with the relief of digestive disturbances including bloating and flatulence. If you have a hypersensitivity to anethole or plants from the Apiaceae family (see “Take special care with FLORA FORCE® FENNEL capsules”). If you have a bleeding disorder (see “Take special care with FLORA FORCE® FENNEL capsules”). If you have hormone sensitive conditions or cancers (see “Take special care with FLORA FORCE® FENNEL capsules”). Surgery (see “Take special care with FLORA FORCE® FENNEL capsules”). Pregnancy (see “Pregnancy and breastfeeding”). Have a hypersensitivity to anethole or plants from the Apiaceae family. Members of this family include carrots, parsley and celery (see “Do NOT take FLORA FORCE® FENNEL capsules”). Suffer from a bleeding disorder. You may have to arrange increased monitoring of your blood levels when starting or stopping treatment with FLORA FORCE® FENNEL capsules (see “Do NOT take FLORA FORCE® FENNEL capsules”). Suffer from a hormone-sensitive condition or cancer. These conditions include breast, uterine, and ovarian cancer, endometriosis, and uterine fibroids. Fennel might have oestrogenic effects. Until more is known, women with hormone-sensitive conditions and cancers should avoid use of FLORA FORCE® FENNEL capsules (see “Do NOT take FLORA FORCE® FENNEL capsules”). If you are undergoing surgery discontinue use at least 2 weeks prior to the procedure (see “Do NOT take FLORA FORCE® FENNEL capsules”). Take warfarin or other blood thinning medicines. You may have to arrange increased monitoring or your INR (International Normalised Ratio) levels when starting or stopping treatment with FLORA FORCE® FENNEL capsules (see “Taking other medicines with FLORA FORCE® FENNEL capsules”). The use of FLORA FORCE® FENNEL capsules in children and adolescents under 18 years of age is not recommended due to lack of adequate data (see “HOW TO TAKE FLORA FORCE® FENNEL capsules”). FLORA FORCE® FENNEL capsules should be taken after meals with water. Safety of FLORA FORCE® FENNEL capsules during pregnancy and breastfeeding has not been established. Avoid taking FLORA FORCE® FENNEL capsules if you are pregnant or breastfeeding. If you are pregnant or breastfeeding your baby, please consult your doctor, pharmacist or registered healthcare practitioner for advice before taking FLORA FORCE® FENNEL capsules. No studies on the effect on the ability to drive and use machinery have been performed. It is unlikely that FLORA FORCE® FENNEL capsules will impair your ability to drive or use machines. However, please exercise care when driving or operating machinery until you know how FLORA FORCE® FENNEL capsules affects you. FLORA FORCE® FENNEL capsules are sugar free. Always tell your pharmacist or registered healthcare practitioner if you are taking any other medicine (this includes complementary or traditional medicines). Ciprofloxacin, an antibiotic, for the treatment of bacterial infections. The dose of the above medications may need to be adjusted when taken in conjunction with FLORA FORCE® FENNEL capsules. Warfarin or other blood thinning medicines. 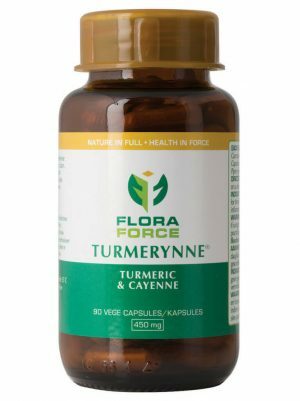 FLORA FORCE® FENNEL capsules may potentially increase the effect of blood thinning medicines (see “Take special care with FLORA FORCE® FENNEL capsules”). Medicines which are changed and broken down by the liver (Cytochrome P450 substrates) as FLORA FORCE® FENNEL capsules can influence the absorption and effectiveness of these medicines. Midazolam as FLORA FORCE® FENNEL capsules may increase its sedative effects. Medicine with oestrogenic activity (such as contraceptive medications, hormone replacement therapy and tamoxifen) as FLORA FORCE® FENNEL capsules might interfere with their activity. Always take FLORA FORCE® FENNEL capsules exactly as directed. You should check with your pharmacist or registered healthcare practitioner if you are unsure. Take 1 – 2 capsules twice daily with meals or as directed by your pharmacist or registered healthcare professional. Not recommended for use (see “Take special care with FLORA FORCE® FENNEL capsules”). FLORA FORCE® FENNEL capsules may be taken for a period of up to 12 weeks followed by an interval of 1 week after which the next 12-week cycle can commence. However, should you experience any adverse effects or any of the side effects indicated below please consult your pharmacist or registered healthcare practitioner. If you take more FLORA FORCE® FENNEL capsules than you should, you may experience a bluish discoloration of the skin, stomach irritation, fatigue, dizziness, light-headedness and convulsions (seizures). Always take FLORA FORCE® FENNEL capsules as directed. If you miss a dose, take it as soon as you remember. If you do not remember the missed dose till the next dose is due, skip the missed dose and go back to your regular dosing schedule of 1-2 capsules twice daily. Do not take a double dose to make up for forgotten individual doses. FLORA FORCE® FENNEL capsules may have side-effects. Not all side-effects reported for FLORA FORCE® FENNEL capsules are included in this leaflet. 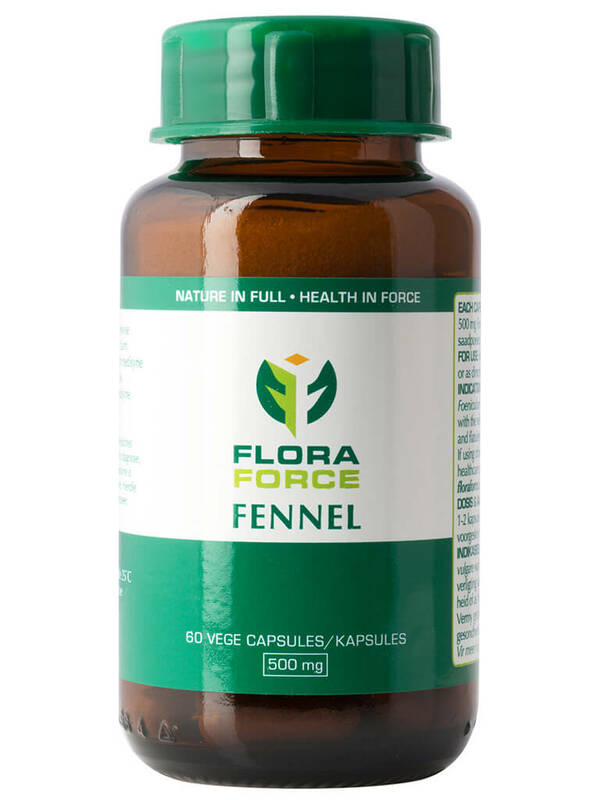 Should your general health worsen or if you experience any untoward effects while taking FLORA FORCE® FENNEL capsules, please consult your pharmacist or registered healthcare practitioner for advice. Slight discoloration (e.g. pale, grey, blue) of the skin, headache, difficulty breathing, light-headedness, weakness, confusion, palpitations and chest pain. Facial weakness, facial paralysis, vomiting and nausea. Difficulty shallowing, breathing and speaking. Sensitivity to light and itching. Early breast development or increased menstrual bleeding. 60 Capsules in 125ml amber glass bottle with dark green screw cap and safety seal insert, packed in a box. Clear size 0 all vegetable capsule containing green herbal powder. D 11.10, Gastro-intestinal tract, Others. Fennel and herbal teas containing fennel are traditionally used to improve a variety of gastrointestinal disorders. In an experimental study, enzymes like pancreatic trypsin, lipase, and amylase have been stimulated by fennel. Fennel seed increased gastrointestinal motility and acted as an antispasmodic at high doses. Fennel extracts produced a reduction in acetylcholine-induced contraction and decreased maximum possible contractility. A hypersensitivity to anethole or plants from the Apiaceae family. These plants include carrots, parsley and celery (see “WARNINGS AND SPECIAL PRECAUTIONS”). Bleeding disorders (see “WARNINGS AND SPECIAL PRECAUTIONS”). Hormone sensitive conditions or cancers (see “WARNINGS AND SPECIAL PRECAUTIONS”). Surgery (see “WARNINGS AND SPECIAL PRECAUTIONS”). Pregnancy (see “PREGNANCY AND LACTATION”). Foeniculum vulgare may cause an allergic reaction in individuals sensitive to anethole or plants from the Asteraceae family. Members of this family include carrots, parsley and celery (see “CONTRA-INDICATIONS”). 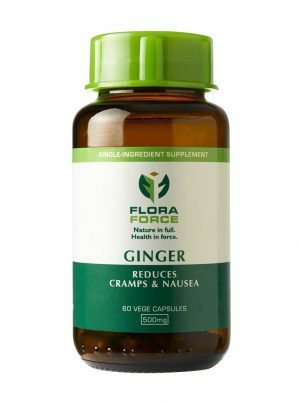 When starting, or stopping treatment with Foeniculum vulgare containing products, including FLORA FORCE® FENNEL capsules, patients with bleeding disorders should have increased monitoring of their INR (International Normalised Ratio) levels (see “CONTRA-INDICATIONS”). Certain constituents in fennel may have estrogenic activity. FLORA FORCE® FENNEL capsules should be avoided in patients with hormone sensitive conditions and cancers. These conditions include breast, uterine, and ovarian cancer, endometriosis, and uterine fibroids (see “CONTRA-INDICATIONS”). 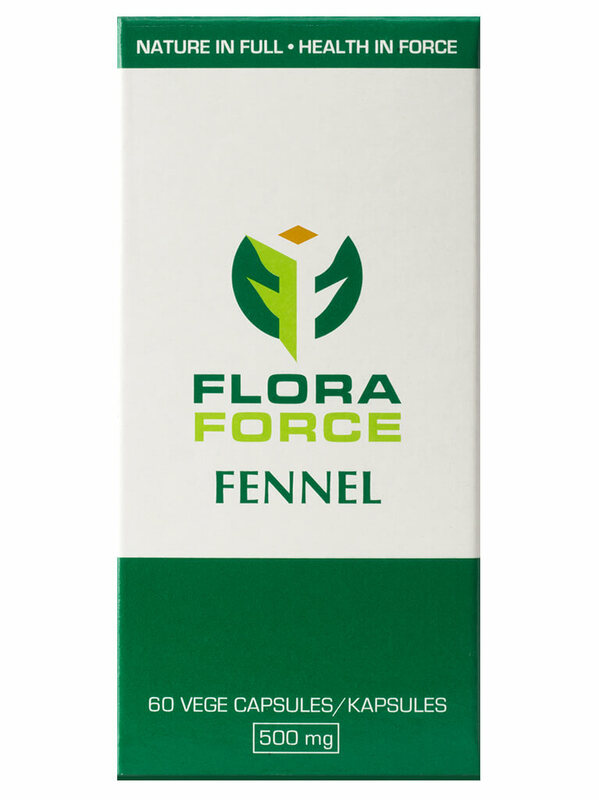 FLORA FORCE® FENNEL capsules should be used with care in patients undergoing surgery. Patients should discontinue use at least 2 weeks before elective surgical procedures (see “CONTRA-INDICATIONS”). When starting, or stopping treatment with fennel containing products, including FLORA FORCE® FENNEL capsules, patients taking warfarin (or other coumarin anti-coagulants) should have increased monitoring of their INR (International Normalised Ratio) levels (see “INTERACTIONS”). FLORA FORCE® FENNEL capsules should be used with care in patients taking sedative medications, including midazolam, as it may increase its sedative effects (see “INTERACTIONS”). The use of FLORA FORCE® FENNEL capsules in children and adolescents under 18 years of age is not recommended due to lack of adequate data (see “DOSAGE AND DIRECTIONS FOR USE”). No studies on the effect of FLORA FORCE® FENNEL capsules on the ability to drive or operate machines have been performed. It is unlikely that FLORA FORCE® FENNEL capsules will affect the ability to drive or operate machines. Ciprofloxacin: Foeniculum vulgare might reduce its effectiveness. Foeniculum vulgare, as in FLORA FORCE® FENNEL capsules, may potentially increase the effect of oral anti-coagulants and anti-platelet drugs (e.g. warfarin, aspirin, clopidogrel, dalteparin, enoxaparin, heparin) when taken concomitantly. Patients taking anti-coagulants or anti-platelet medicines should have their INR levels monitored more frequently when taking FLORA FORCE® FENNEL capsules (see “WARNINGS AND SPECIAL PRECAUTIONS”). Foeniculum vulgare, as in FLORA FORCE® FENNEL capsules, may increase the sedative effects of midazolam. Patients taking midazolam should use FLORA FORCE® FENNEL capsule with caution (see “WARNINGS AND SPECIAL PRECAUTIONS”). There is some evidence that Foeniculum vulgare may interact with CYP3A4 enzymes and increase bioavailability of medicines metabolised by cytochrome P450 isoenzymes CYP3A4. Patients taking medicines metabolised by these enzymes should use FLORA FORCE® FENNEL capsules cautiously. These medicines include calcium channel blockers, chemotherapeutic agents, anti-fungals, glucocorticoids, alfentanil, cisapride, fentanyl, lidocaine, losartan, fluoxetine, omeprazole, ondansetron and fexofenadine. Foeniculum vulgare, as in FLORA FORCE® FENNEL capsules, may have estrogenic activity. Theoretically, concomitant use of large amounts of fennel may interfere with contraceptive medication, hormone replacement therapy and tamoxifen. The safety and efficacy of FLORA FORCE® FENNEL capsules during pregnancy have not been established. Capsules should therefore not be taken during pregnancy. Consult with a pharmacist or registered healthcare practitioner if you want to use FLORA FORCE® FENNEL capsules during breastfeeding. Do not tamper with capsule. Take 1-2 capsules twice daily with meals or as prescribed. 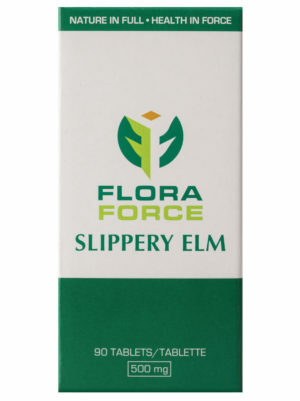 The following side-effects may occur with the use of FLORA FORCE® FENNEL capsules. Frequency unknown: Iron deficiency, methemoglobinemia. Frequency unknown: Cyanosis, bronchial asthma, hay fever, occupational asthma. Frequency unknown: Gastro-intestinal complaints and irritation, iron deficiency. Frequency unknown: Photosensitivity and atopic dermatitis. Frequency unknown: Premature thelarche, increased menstrual flow. Cyanosis, gastro-intestinal irritation, fatigue, dizziness, light-headedness and seizures. 60 Capsules packed into 125ml amber glass bottle with light dark screw cap and safety seal insert, in a box. 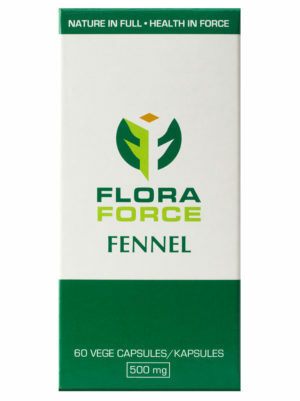 FLORA FORCE® FENNEL capsules contain fennel (Foeniculum vulgare ) fruit / seed powder. Fennel has been traditionally used to assist with the relief of digestive disturbances including bloating and flatulence. Our herbal capsules provide the true herb, dried and powdered, not standardised extracts or concentrations of single biochemicals extracted from the herbs. We use only Vege caps because we believe everyone should have access to true natural products, regardless of their religious requirements or nutritional preferences.